Nothing feels more frustrating than pouring resources into a marketing tactic that doesn’t produce. Many bloggers have fallen into this trap: They contribute to another blog or media outlet once or twice, then become disillusioned when they don’t see the results they want. That’s like going to one office party all year, then getting upset when not everyone knows your name or has a fun inside joke to share with you. If you want the best returns, you must first put in the work to earn it. Guest blogging works the same way — to establish yourself or your company as an expert and drive measurable results for your brand, you need a comprehensive guest posting strategy. 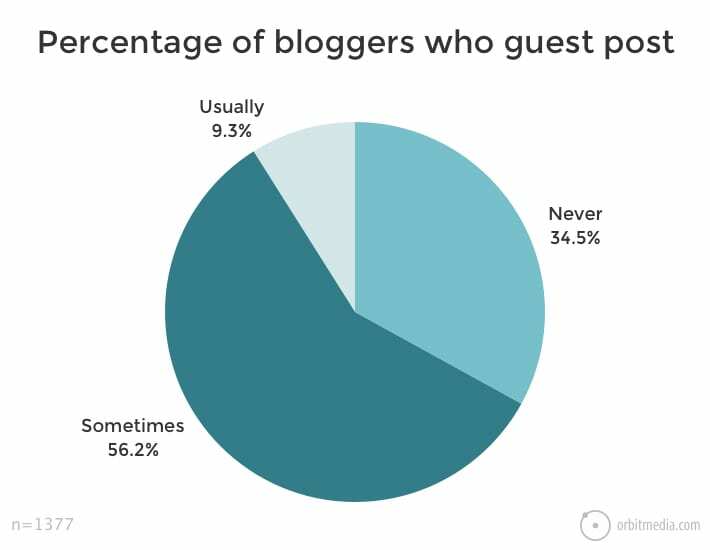 According to blogging data from Orbit, 56.2 percent of bloggers occasionally guest post, while 34.5 percent never do. Only 9.3 percent usually guest post. Although it’s nice to see that more and more people recognize the potential of guest posts, this lack of consistency prevents a lot of bloggers from realizing the fruits of their labors. In 2017, my team at Influence & Co. examined the guest blogging landscape in our report, “The State of Digital Media.” According to our research, 61 percent of publication editors planned to increase the amount of guest content they publish, while only 4 percent planned to decrease that content. Editors want to share new insights and ideas with their readers. 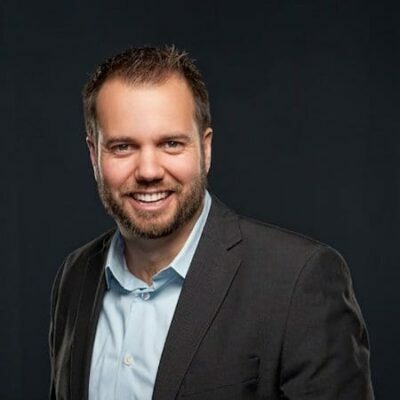 They want to publish content coming from the people who are deep in the trenches of the industries and specific niches their readers care most about, and they need to do that consistently to keep those readers engaged and loyal to their publications. To do that, they need dependable outside experts who can regularly contribute high-quality thought leadership content. People who know their stuff can help meet that need — but the occasional guest post probably won’t cut it. To get more from guest blogging, experts must consistently contribute valuable content to multiple publications. 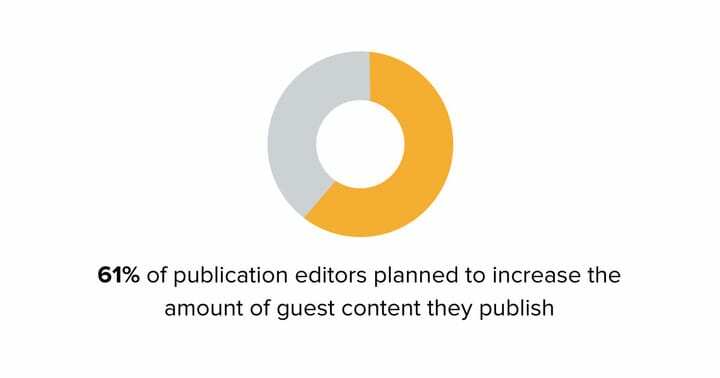 If editors are looking for more guest content, there’s a lot of opportunity for more than 56 percent of bloggers to occasionally send them a guest post — and a lot of good reason to do so, as well. When I hear some bloggers report that guest posting doesn’t drive traffic to their site, I can hardly believe my ears. Obviously, one post won’t crash your site with an influx of referral traffic, nor will a single post lead to a closed sale the next day, but no new traffic at all? Something is wrong. A guest posting strategy does more than help contributors improve their writing abilities and build their networks — although those are important benefits, and we could all stand to strengthen our skills. My team and I use guest posting as a cornerstone of our content strategy. We contribute to a variety of publications: Some have audiences in the millions, while others appeal to a few thousand readers. Some cover general interests, while others dive into niche industry topics. This broad-based approach has helped us build our reputation online and generated tens of thousands of site visitors and thousands of leads in the past year alone. Our guest posts and the organic search traffic they drive consistently produce the most marketing-qualified leads every month. Our guest posting strategy yields those results because we invest in it. We take the time to identify target publications, talk to editors about what their readers want to see and create engaging content. Thanks to this comprehensive approach, guest posting is a major driver of our marketing success. Individual articles require careful planning and research, but a true guest posting strategy is bigger than individual articles. To get more from guest posts, you must tie them to your other content initiatives. Guest posts provide opportunities to reach the members of your target audience via publications they already know, love and trust. Your presence in the publication is already a mark in your favor in the reader’s eyes, but you can’t let the relationship end there. You have to give the audience an opportunity to learn more by linking to other relevant, valuable content — on the publication’s site, on other niche sites and on your own pages. Create a path for readers to learn more about the topic or collect new tools, like whitepapers and guides. Of course, linking back to great content means building great content in the first place. You can’t link to junk content, and you certainly can’t attach a link to your homepage on text that says “industry experts.” When we polled editors, 44 percent said homepage links crossed the line into overly promotional content. However, if you have truly valuable, deeply relevant, helpful content on your blog, you can link to that content from your guest posts to answer audience questions, drive traffic, generate leads and boost SEO. You win with more traffic; editors win through increased reader interest; and readers win through access to more valuable content. The more great content you produce, the more impactful your guest posting strategy becomes. A better overall strategy makes each post stronger, but what makes a single post great? Follow these tips to produce one great guest post, then do it again, and again, until you create a web of content across the net that accomplishes the goals you set out to achieve. 1. Identify the members of your audience and where they go online. Identify your target audience and research its favorite publications. Where do your ideal customers, clients, or partners spend their time online? What kind of content do they love to consume and share with their peers? Get as specific as possible, then build a list of publications with content relevant to the audience you want to speak to. After settling on a publication that puts you in front of your audience, get to know the content on the site. What topics does the site like to cover? Does it feature long-form op-ed pieces, short listicles, or analysis posts with lots of charts? After getting a feel for the content, do your absolute best to find and review the publication guidelines. Some places prefer the Oxford comma, while others get picky about their titles and first-person language. The more you know about how to write for the targeted publication, the better your odds of acceptance because your piece will be a better fit for that publication’s readers. Write content with your audience in mind, sticking to a topic in which you are an expert. Share something valuable, such as tips you wish you had known or analysis on a current shift in the industry. Steer clear of outright promotion, but don’t shy away from using content on your site to back up your claims when it’s relevant. This should be a no-brainer, but you might be surprised how many editors cite low-quality, unprofessional content as their main reason for rejecting guest posts. 71% of editors receive content that isn’t professionally written or edited and have to reject it. So, don’t send a piece riddled with spelling errors and grammar issues to a busy editor. Double-check your sources for every statistic. Ask someone with editing skills to refine your piece. Run the whole thing through an online plagiarism detector to avoid copying someone else’s work by mistake. The more polished your prose, the more editors will want to work with you. Pay attention to how sites want to receive pitches. Some editors may want a full article, while others only want a short summary and an author bio to greenlight an idea. Don’t try to jump the queue by directly emailing an editor on a site that asks for submissions through a landing page. Instead, to give yourself the best chance at publication, pitch editors crisp, well-researched pieces that adhere to their publication guidelines — and do so through the proper channels. Once the publication accepts and publishes your article, share it on every channel where you have a presence. Facebook, Twitter, LinkedIn, online ads, emails — use every avenue available to spread the content while it’s on the front page. The stronger the response to your article, the more effective it will be, and the more likely the publication will want more from you later. Listen to feedback from editors to improve your writing and pitch for the next time. Your guest posting strategy depends on consistent publication. By following these tips, you can develop a guest blogging strategy that provides the ROI you’ve been missing. Thanks for the tips, John. Guest posting is a great strategy for increasing exposure. I love to write, so guest posting is a priority of mine. I could be better at being more consistent in my efforts, though. I’ve fallen off this quarter. Time to get back in gear!